This stunning design carpet is beautifully handcrafted in pure silk. The warp and weft, both are in pure silk. Number of Knots in this rug are 576 knots per square inch. This is ideal for the living room and bedroom. 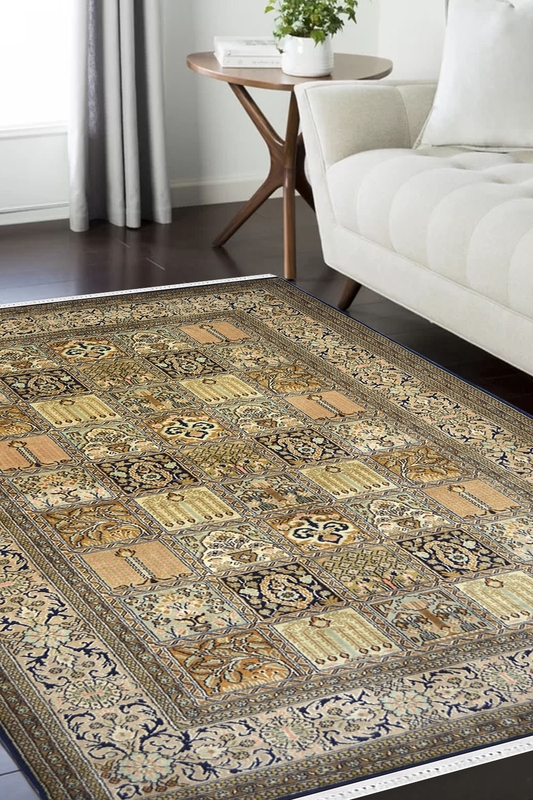 - Let this hand knotted carpet add a magic in your home decor with its absolutely stunning and classic design pattern. - The multi colors of this handmade carpet looks classy and is woven to perfection to give your home a classy appeal. - It has taken approx. 8-9 months to weave. The design pattern is hamadan which is originated from Hamadan city. - The woven technique has been used in this carpet is hand knotted. - This is woven on hand loom by talented weavers in Village of India.